We shall soon be adding a very special service for The Royal Bridlington's guests and locals. 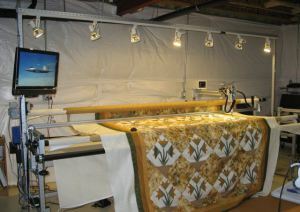 We have just ordered a Longarm Quilting machine! Like many other quilters, I love piecing and making the quilt tops and I have a huge pile of UFOs waiting to be quilted. In the States Longarm quilting machines are much more common and most quilt shops have at least one and many home quilters too offer a quilting service on their machine. After much deliberation, many spreadsheets & lots of reorganising of space, we have decided to take the plunge. We have chosen the Innova 26 inch machine with autopilot, 11 ft table and a few more bells and whistles too. 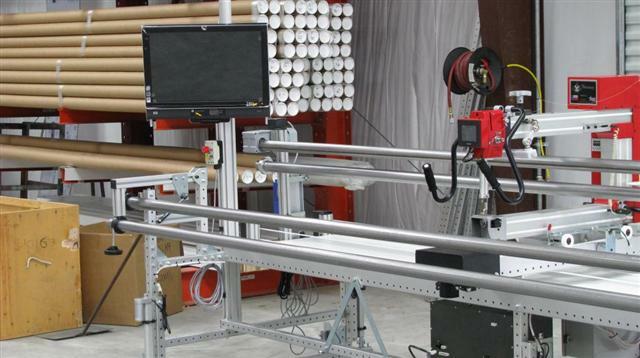 This will enable quilts up to around 122 inches to be either quilted by selecting an all over design on the computer, or by using a traditional paper pantograph designs or free motion custom quilting. The machine is custom made in Texas, USA and we have to import it from there. It should be arriving sometime in October. I shall be keeping the blog up to date with the Longarm 'journey'. How exciting for you! I'm sure you're going to enjoy playing.. I mean practicing - looking forward to seeing your first longarmed quilt.